The commissioners sent in to get Northamptonshire out of its financial crisis have issued their first report – with the Secretary of State for local government saying the situation in the county is still ‘very serious’. Commissioners Tony McArdle and Brian Roberts have spent the past three months digging into every aspect of life at the failing county council. They have drafted in external experts to forensically analyse the authority’s accounting books as well as asking the Government to send in a third children’s commissioner after they witnessed a failure of leadership in the children’s department. The “dysfunction” at Northamptonshire Council has resulted in some services lacking resilience. “Active, engaged and capable leadership” is paramount in carrying the local authority through its difficulties. The current state of the council’s finances calls into question the standard of financial management practice in the council. There has been a preparedness to compromise generally accepted accounting principles if this will present the council’s finances in a better light. This situation is as a result of a lack of credible leadership and direction over many years. Positive cultural changes have started to take effect at the council as a result of the appointment of new senior staff, including a new chief executive and a new finance director. Local stakeholders including residents, councillors and MPs have been consulted on the changes they are implementing to restore the council to a ”proper set of operating principles” which can continue into the potential new unitary organisations. Mr Brokenshire has credited the commissioners with uncovering the authority’s true financial position but has said there is still lots of work to be done. He said: “Clearly, the situation in Northamptonshire is very serious. I am grateful to the commissioners for uncovering the council’s true financial position and the robust steps they have taken to improve its financial management and governance. “Since this report, Northamptonshire County Council has taken the positive step of agreeing the stabilisation plan and made significant progress appointing a new chief executive and a new finance director which has instilled a positive cultural change. 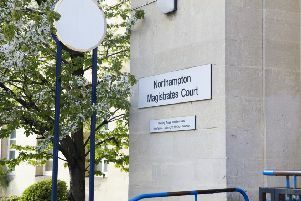 The commissioners were sent in in June after a damning report by inspector Max Caller in March found the council was catastrophically failing. It has been the most tumultuous period of the council’s history with senior councillors and high ranking officers leaving their posts as well as the authority issuing two section 114 notices indicating it may not balance it books. It did not balance them last year and has a £35m deficit hangover to deal with.